Traumatic injuries to the brain can be the result of vehicular accidents, sports injuries, explosive shock, or falls. Injuries to the brain range from mild to very severe and can impact personality, sleep patterns, and bodily functions. More serious brain injuries can result in lingering or irreversible brain damage. 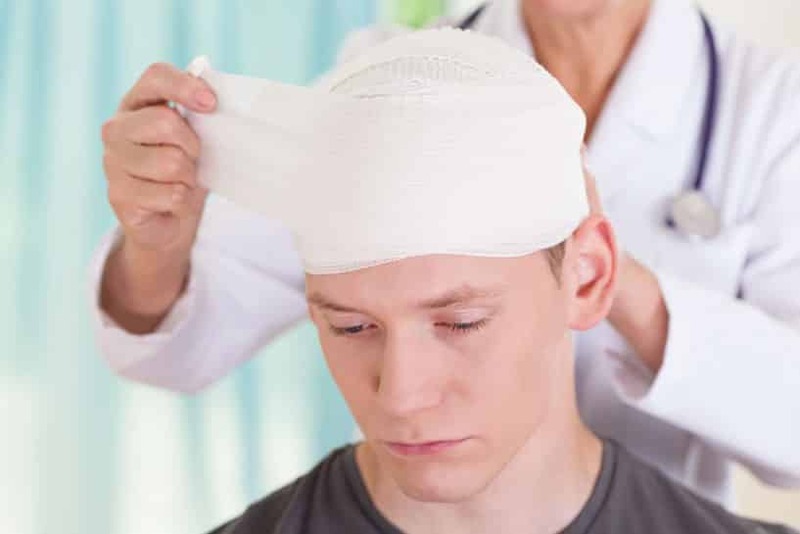 Contact an experienced brain injury lawyer in Scottsdale today. Particularly, severe injury to the brain can result in coma or vegetative state. In a coma, there are no signs of either wakefulness or awareness in the victim. In a vegetative state, the victim is awake but shows no signs of awareness. Many traumatic head injuries are caused by someone not wearing a helmet while riding a motorcycle or bicycle. In these types of cases, wearing a helmet can be the difference between life and death in an accident. Riders who do not wear helmets are 37 percent more likely to die in an accident than riders who wear a helmet. Not wearing a helmet could reduce the amount of money a victim receives in a settlement or lawsuit if it is found that any portion of the victim’s injuries were caused by his or her failure to wear a helmet. Excessive costs accompany traumatic brain injuries in terms of medical bills for surgeries, physical therapy, and medication. Victims who suffer severe brain damage, coma, or vegetative state almost certainly lose income and employment. The emotional trauma associated with brain injuries can also be very great due to the drastic change to quality of life, especially in those who suffer severe and irreversible brain damage. The burdens of traumatic brain injuries can be tremendous and no one should have to cope with such injuries alone. Attorney Nathaniel B. Preston (“Nate”) understands the pressures and pains you are facing and will guide you in the right direction and assist you in making the decisions that are best for you. Arizona has no caps on recoverable damages due to medical bills, permanent disability, loss of current and future wages, loss of enjoyment of life, pain and suffering, and mental anguish. Nate will help a suffering victim and his or her family to recover the maximum award possible to help ease their pain. If you or a loved one has suffered a traumatic brain injury in the greater Phoenix area, Glendale, Mesa, or Scottsdale, please contact Nate today to set up your free initial case evaluation by filling out the online form or by calling 602-652-2009.